Patented by Integrated Roadways, Smart Pavement Collects Real-Time Traffic Information, Automates Accident Alerts, Provides High-Speed Connectivity and Improves Driver Safety. Integrated Roadways, a technology startup from Kansas City, Missouri, is revolutionizing America’s highway system beginning with a key partnership with the Colorado Department of Transportation (CDOT) under their RoadX initiative to use next-generation innovations to solve infrastructure challenges. Integrated Roadways, in conjunction with partners Kiewit Infrastructure Company, Cisco Systems, WSP Global, and Wichita Concrete Pipe, will install one-half-mile of Smart Pavement on US285 near Fairplay, CO, to collect data on run-off-the-road (ROTR) accidents and send automatic notices of ROTR accidents to CDOT over a five-year demonstration period. The project features Integrated Roadways’ patented “Smart Pavement” technology, which makes roadways touch-sensitive to vehicle positions. ConstructionDive.com named “Smart Highway” technology the 2017 “Tech of the Year”, predicting a CAGR of 93.54% from 2017 to 2021 and a 2020 market projection of $32.81 billion, while Wired predicts VC investment in the field to grow to $375m in 2018. Many government agencies and local municipalities are excited about the potential as shown by this new project award and Integrated Roadways is currently evaluating projects with a number of other states and municipalities. Integrated Roadways is the thought leader in smart highway technologies. 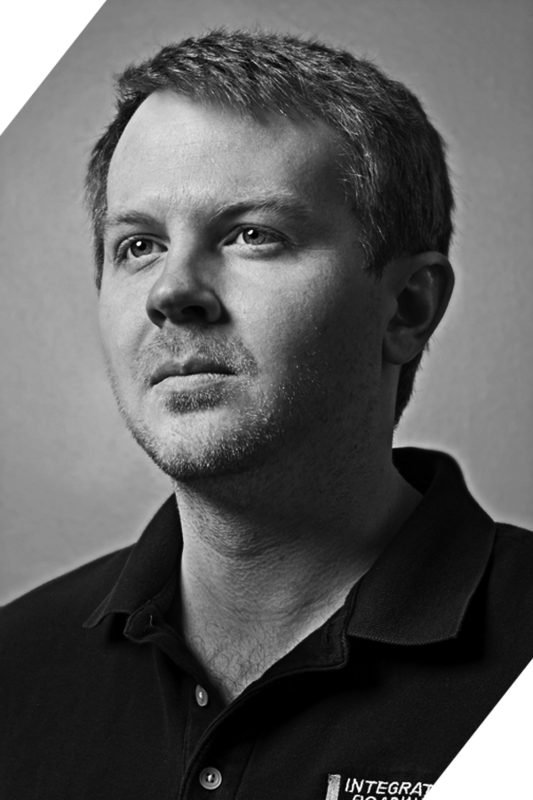 Founded in 2012 by Tim Sylvester who developed its unique Smart Pavement system to build roads for the 21st century. The company currently holds one patent, has one pending, and more on the way. For more information about Integrated Roadways, visit its website at http://www.integratedroadways.com. Smart Pavement™Patented by Integrated Roadways. 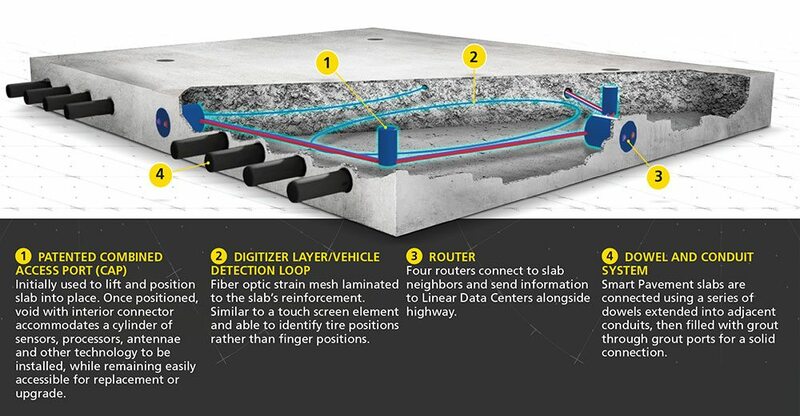 Durable, precast concrete sections embedded with digital technology and fiber optic connectivity. Tim Sylvester, CEO and Founder, Integrated RoadwaysCEO and Founder, Integrated Roadways Cell Tower and Smart Tablet Technology in a Concrete CaseEach interlocking Smart Pavement™ slab incorporates accessible and upgradable digital technology that connects vehicles to the internet and provides real-time information to drivers about traffic, road conditions and accidents.